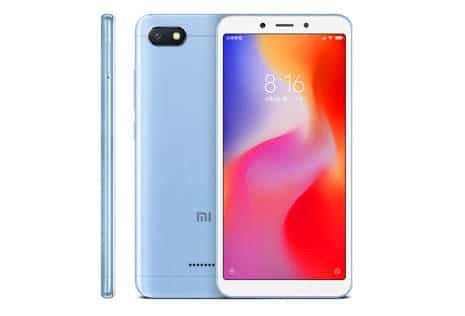 Xiaomi Redmi 6A VS Xiaomi Redmi 5A: can Redmi 6A beat its predecessor’s success? Xiaomi Redmi 6A VS Xiaomi Redmi 5A: Can the Redmi 6A emulate its predecessor’s success? It’s always a tough task to replace something that has achieved greatness because of the overwhelming expectations. This is the position where Chinese phone maker, Xiaomi is in right now. The Xiaomi Redmi 5A was released in December 2017 and has achieved great success in the budget segment. The Redmi 5A is the best-selling Android-smartphone in the first quarter of 2018 according to an analytics firm. This is a such a huge achievement for Xiaomi and they’re back with a successor called the Xiaomi Redmi 6A. 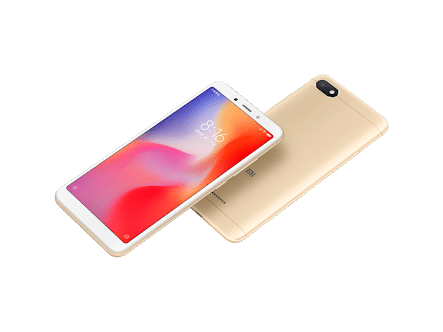 The Xiaomi Redmi 6A comes with upgraded specs and features of its predecessor. But does it have what it takes to achieve greatness like the Xiaomi Redmi 5A? Well, a detailed comparison between the Xiaomi Redmi 5A and Redmi 6A should provide us with a clue about that. The first significant difference in design between the two Redmi devices is the bezel-less display of the Redmi 6A. You can clearly see large bezels at the top and bottom of the Redmi 5A. The bottom bezel of the Redmi 5A houses the three navigation buttons while the buttons are on-screen for the Redmi 6A. At the back of both smartphones are an antenna line at the top and bottom, the Xiaomi brand name, and speaker grill. The rear camera and LED flash of the Redmi 5A is above the top antenna line. While on the Redmi 6A, the top antenna line passes through the rear camera and LED flash. The Xiaomi Redmi 6A measures 145 grams with 8.3mm thickness while the Redmi 5A weighs just 137 grams with 8.4mm thickness. The Xiaomi Redmi 5A is available in four body colors option; Gold, Dark Gray, Rose Gold, and Blue. While the Redmi 6A is also available in four body colors option; Grey, Blue, Gold, and Rose Gold. No fingerprint sensor on both smartphones but the new Xiaomi Redmi 6A comes with AI-aided face unlock technology. The Xiaomi Redmi 6A comes with a little upgrade in the display to the Redmi 5A. They both feature an IPS LCD panel, which measures 5.0 inch on the Redmi 5A while the Redmi 6A measure 5.45 inch. The display of the Xiaomi Redmi 5A features a 16:9 aspect ratio, 720 x 1280 pixels resolution and 296 pixels per inch density. While on the display of the Redmi 6A is an 18:9 aspect ratio, 720 x 1440 pixels resolution and 295 pixels per inch density. There isn’t any difference on paper between the camera of the Redmi 6A and Redmi 5A. They both sport a 13MP rear camera with f/2.2 aperture and a 5MP front-facing camera. The Xiaomi Redmi 6A runs with the latest MIUI 10 skin, which supports AI camera. So there will be some AI camera features on the Redmi 6A. The Xiaomi Redmi 5A is being powered by Qualcomm Snapdragon 425 chipset, an Adreno 308 graphics processing unit and a 4-core processor clocked at 1.4GHz. While the MediaTek Helio A22 chipset coupled with 4-cores processor clocking at 2.0GHz powers the Xiaomi Redmi 6A. The Helio A22 on the Redmi 6A is built with the same 12nm process technology of the Helio P22. The Xiaomi Redmi 5A runs on MIUI 9, which is overlaid on top Android 7.1.2 Nougat and 2GB memory with 16GB storage or 3GB memory with 32GB storage. While the Xiaomi Redmi 6A comes in only a 2GB memory with 16GB storage and runs on MIUI 10 skin with Android 8.1 Oreo. Am really not sure the Android 8.1 Oreo will run swiftly on a 2GB memory smartphones. The battery remains unchanged here as the Xiaomi Redmi 6A and Redmi 5A packs a non-removable Li-lon 3000 mAh battery. Not that we can complain about that given how affordable the smartphones are. The Xiaomi Redmi 5A is sold for around $86 (N35,000) while the Xiaomi Redmi 6A cost about $106 (N37,100). The Xiaomi Redmi 6A comes with upgraded specs, which most users would want in a smartphone. The difference isn’t much but I would say the Redmi 6A is worthy of an upgrade and can surpass the success of the Redmi 5A.